It sets fast in the mouth – don’t go by the cement’s color change on the tray. No need to seat quickly – it has a nice working time and is not particularly light sensitive. The time from tack-cure to strong set is short. Tack cure of 2 to 3 seconds works well for clean-up. Until the cement sets, its color indicator temporarily makes crowns appear light pink. Knot floss to remove interproximal cement. 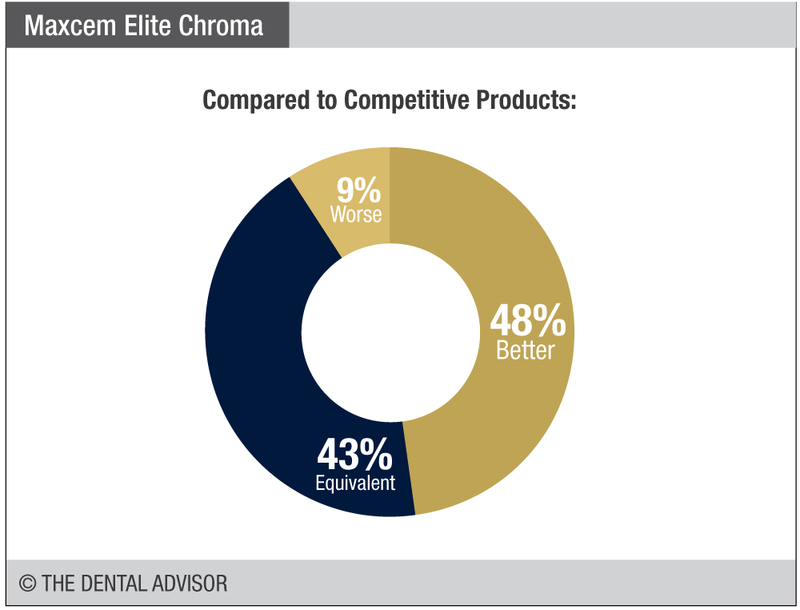 Maxcem Elite Chroma was evaluated by 23 consultants. Easy to dispense and use. Color change indicator for gel phase. Cement peels away during clean-up in gel phase. Suitable for all indirect restorative materials. Dual barrel automix delivery system. 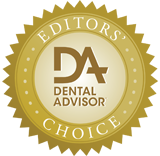 Luting/cementation of all indirect restoratives, including ceramic, porcelain-fused-to-metal (PFM), zirconia, metal and CAD/CAM materials. 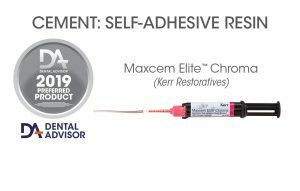 Maxcem Elite Chroma is a self-etch, self-adhesive dual cure resin cement. 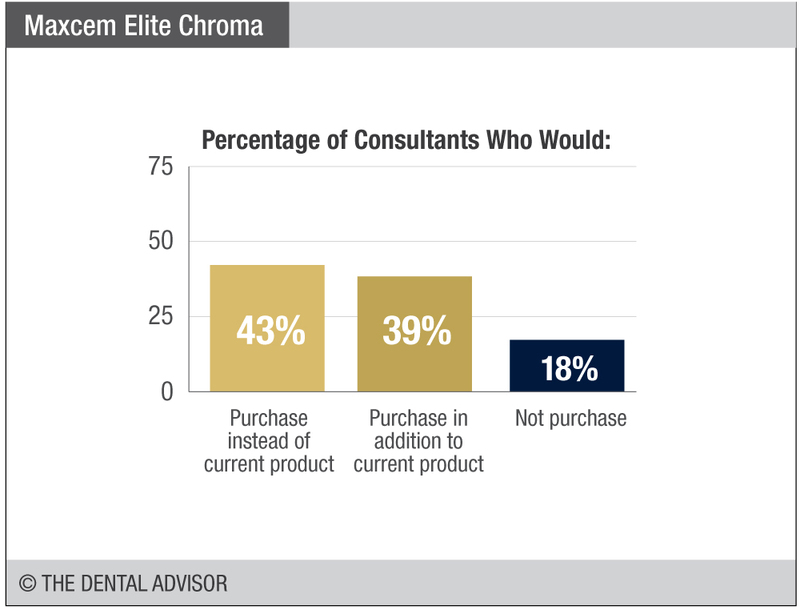 It includes a color clean-up indicator, dispensing pink before fading at the gel state and thereby indicating the optimal time for removal of excess cement. A gel state is achieved in 2 to 3 minutes in self-curing mode or in 2 to 3 seconds if tack cured, and the One-Peel™ Cleanup results in clean-up being achieved by peeling excess cement away while it is in the gel state. After light curing, the cement should be left for 4 minutes to cure under opaque restorations. This cement should not be used on patients who are allergic to methacrylate resin and the cement should not come into contact with the pulp. 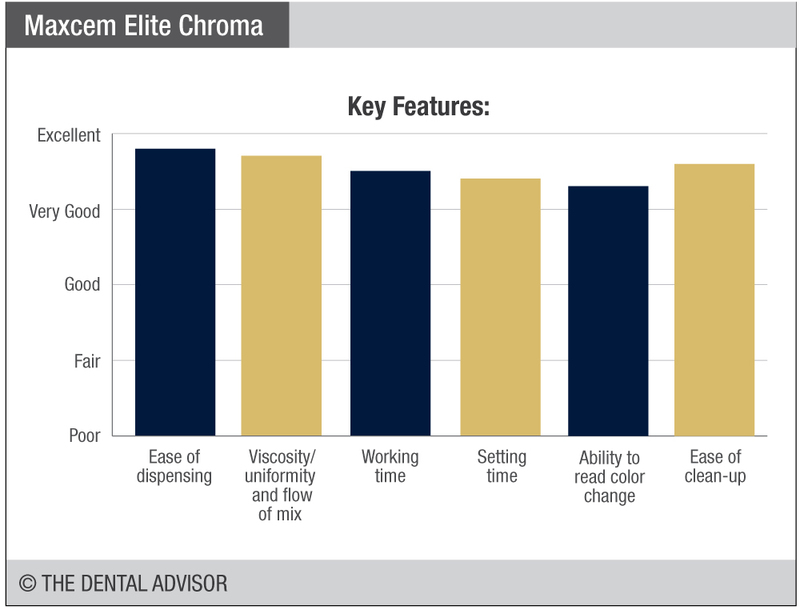 Maxcem Elite Chroma is delivered in a dual-barrel automix delivery system. 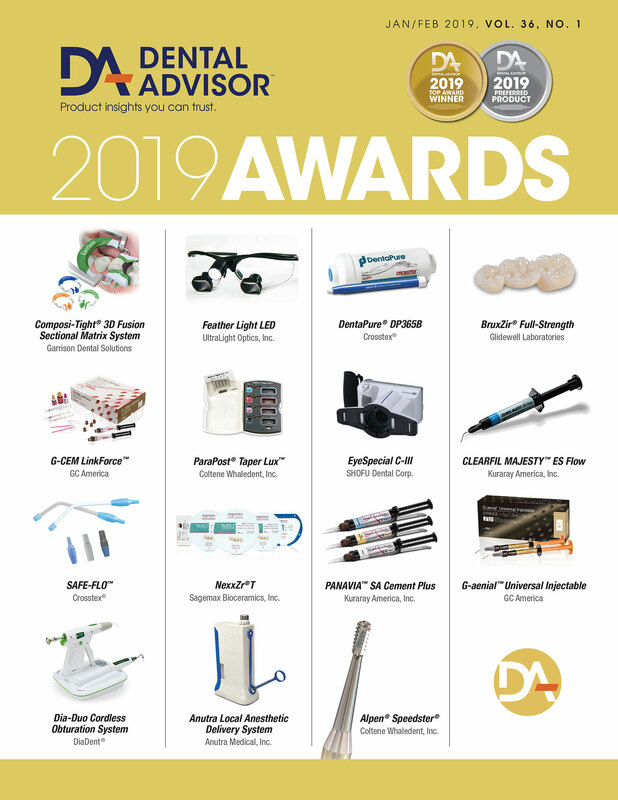 It is available in a bulk pack containing 4 dual barrel syringes in a clear shade (5 g each), 16 regular 4:1 automix tips, 8 each of wide 4:1 automix tips, intraoral tips and root canal tips, and a laminated technique guide. In addition, refill packs containing two dual barrel syringes in shades clear, white or yellow are available, as well as boxes of 4:1 pink tips (regular).